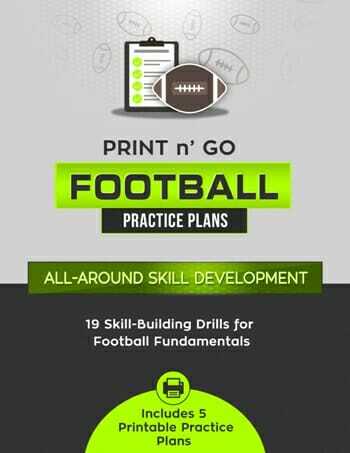 To teach QBs the proper way to throw a long, high ball, and to teach WRs how to high point the ball and use change of pace to get open. Split the team into two groups, each with the same amount of WRs and QBs. 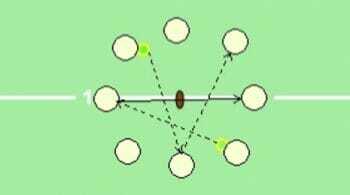 One line at the goal line and one at the 50, facing each other, like in the diagram below. The WRs will be about 15 yards to the right of the QBs, who will be in the middle of the field. 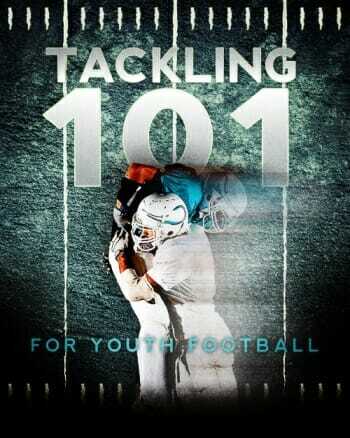 You will also need plenty of footballs for each line. When the QB hikes the ball, the WR will run his route. 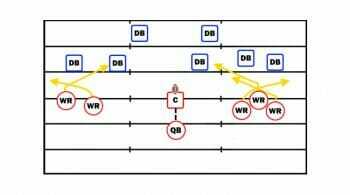 The fade route is run by having a receiver begin the route at about 75% speed, before exploding out deep to the sideline. 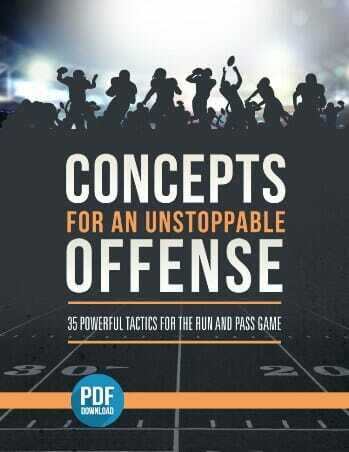 The QB will throw the ball deep, high, and out towards the sideline. 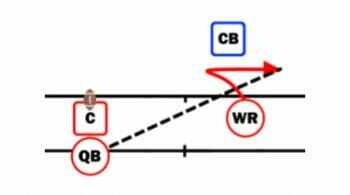 The WR will make the catch, run all the way past the other line, and come drop off the football before going to the back of that line. 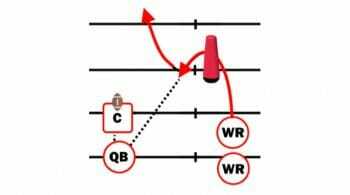 Begin by having this drill run on air, but once the WRs and QBs have the drill down, you can add DBs in for an increased level of competition.